You've seen Alfa Romeo cars on the road or in the movie like Johnny English and Fast and Furious 6 . 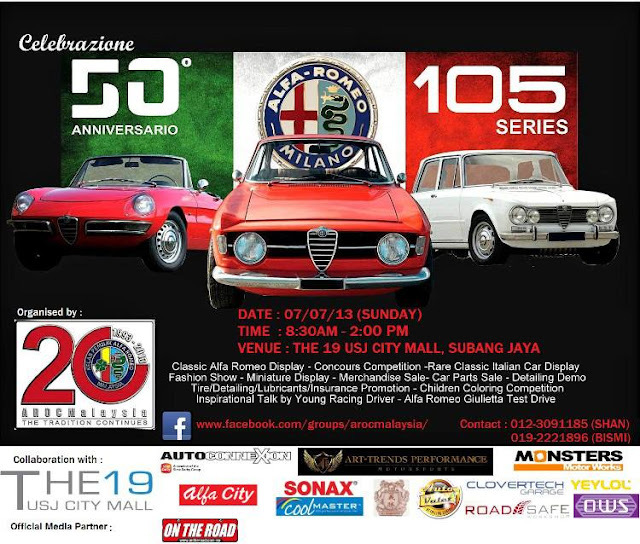 Do you know that the AROC Malaysia ( Alfa Romeo Owner Club Malaysia ) has upcoming exciting event celebrating their 50th anniversary with the Alfa Romeo 105 series . I've seen many Alfa Romeo's until today because I love Alfa Romeo personally as well ! 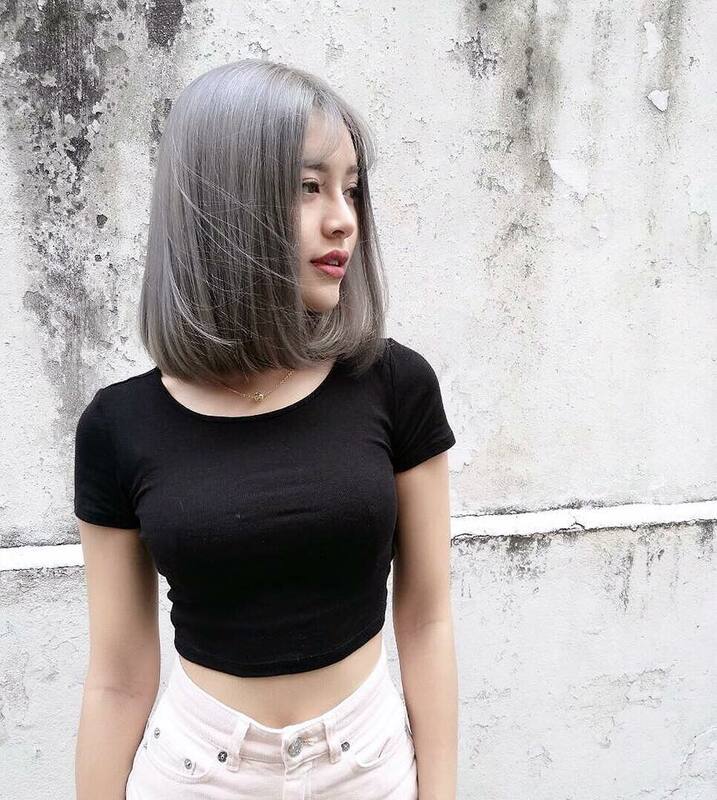 Let me tell you bit by bit of their history . Alfa Romeo's car design , their introduction of technological innovation over the years and of all the experience of having an Alfa Romeo . 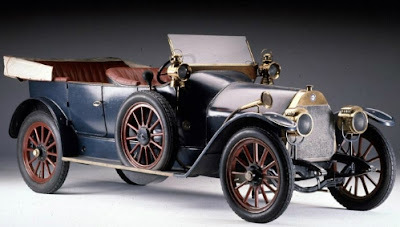 Many interesting stories and facts you could know about an Alfa . As I grew up with Alfa Romeo , I feel comfortable and love the sexiness of the car . Here are the chance for you who love cars or Alfa Romeo , GREAT ! AROC Malaysia are celebrating the 50TH anniversary on this coming Sunday , 07/07/2013 at The 19 USJ CITY MALL , Subang Jaya . Drop by betweem 8.30am to 2.00pm to see the big gatherings of the few generations and many models of Alfa Romeo cars . Be there to support them as you will never regret snapping photos with the classic cars which are RARE ! I'll will be there celebrating the 50th anniversary . See ya'll on this Sunday !